"BLUMOOG MUSIC" is a brand new label that lays out its vision in fine style with a first release from boss man M.R.E.U.X. The new outlet promises to be a platform where artists can express themselves without any musical limitations.M.R.E.U.X is Luke Mreux and is someone who runs his own studio in Italy. He has been involved in the industry since the 90s, has a background in punk and has worked in many clubs. As well as this he has played high profile gigs like Love Parade, runs a number of other labels and has a dark and psychedelic sound.My inspiration comes from the electronic music of the 80's and 90s when producing still meant research, ideas and passion says the artist. 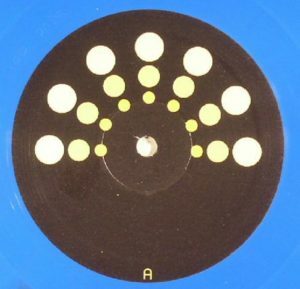 Here he works with analog machines and vintage gear that lends his music a great sense of character.First up is The Return, which is eight minutes of inventive techno nailed to a kinked groove. Gurgling machines, dark claps and trippy synths all stay busy throughout and keep you on your toes as the freaky atmosphere keeps you sucked in.The perfectly all consuming "Dark Culture" is rich with corrugated bass and rooted drums. It is a groove full of shady corners and menacing moods and only the most subtle synths join the fray to add more layers of unsettling intrigue.These two devastating tracks mark out this label as one to watch right from the off.